Interpol’s Secretary General Jurgen Stock says the nationality of the policing organization’s president does not affect its neutrality. Stock spoke on Wednesday after member states voted to elect South Korea’s delegate, Kim Jong Yang, as Interpol’s new president. The selection edged out Russia’s attempt to put forth one of its own for the presidency. Interpol has faced intense criticism that countries like Russia have abused Interpol’s system to go after fugitive dissidents. Addressing what he said was misinformation circulating in recent days, Stock said Interpol accepts “the fact that systems can be improved” but added this year alone the red notice and diffusion system helped lead to the arrest of 10,000 serious criminals. Germany is congratulating the newly elected president of Interpol and warning against politicizing the global police cooperation agency. Foreign ministry spokeswoman Maria Adebahr said Berlin is “convinced that Kim Jong Yang is a good choice” and pointed to a “clear election result” in his favor. Kim defeated Alexander Prokopchuk, a veteran of Russia’s security services, in Wednesday’s vote. Interior Minister Horst Seehofer said the priority for the new president should be ensuring “stability and continuity” in Interpol’s work after his Chinese predecessor’s abrupt departure. The Kremlin says it regrets that the Russian candidate for Interpol president has lost the vote but says it accepts the election results. Tensions were high around Wednesday’s vote which elected South Korea’s Kim Jong Yang as chief of the international law enforcement agency. The United States, some countries in the West and Kremlin critics were warning that the Russian candidate, Alexander Prokopchuk, might help the Russian government to use the organization to go after its opponents. 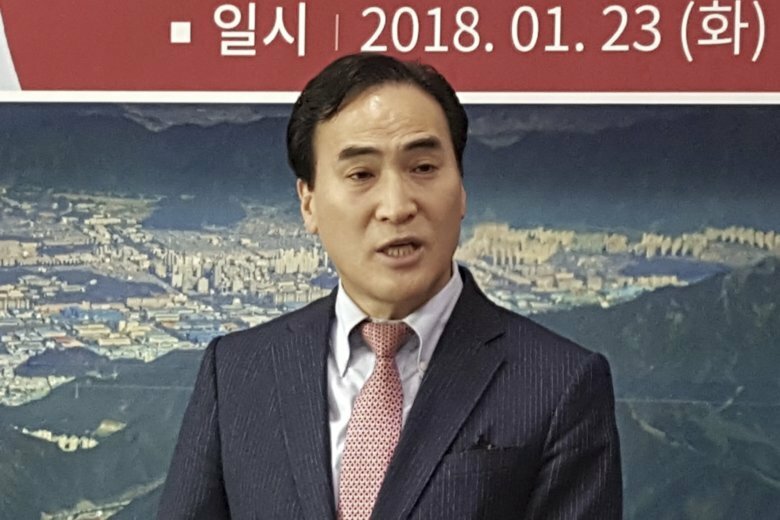 Kremlin critic Bill Browder says common sense has prevailed with Interpol’s decision to bypass a longtime veteran of Russia’s security services and choose a South Korean as its new president. Browder spoke out against Alexander Prokopchuk’s candidacy, saying it would intensify President Vladimir Putin’s efforts to use Interpol to hunt down critics, undermining the international law enforcement agency. Russia denies accusations of foreign interference and announced new charges against Browder this week in a long-running legal battle against him. Browder says the charges were a “gift” to those trying to block a Russian presidency because it focused attention on the vote. South Korea’s president says he’s “very proud” of the fact that fellow national Kim Jong Yang has been elected as Interpol’s next president. Moon said he’s sending a congratulatory message to Kim along with all South Koreans. The statement quoted Kim as saying that his election is a “national triumph” that he expects to elevate South Korea’s international standing and role. The spokeswoman for the Russian interior ministry says that the Russian candidate for Interpol president who lost the election will continue to work as the international law enforcement body’s vice president. Ukraine, along with Western nations and Russian opposition figures, staunchly opposed a Russian police official who was also in the running for president of the international law enforcement body. Kremlin critics raised the alarm about the Russian candidate, Alexander Prokopchuk, fearing that he could encourage abuse of Interpol’s warrant system. South Korea’s Kim Jong Yang has been elected as Interpol’s next president, edging out a longtime veteran of Russia’s security services who was strongly opposed by the U.S., Britain and other European nations. The White House and its European partners had lobbied against Alexander Prokopchuk’s attempts to be named the next president of the policing organization, saying his election would lead to further Russian abuses of Interpol’s red notice system to go after political opponents. Kim’s win means he secured at least two-thirds of votes cast at Interpol’s general assembly in Dubai on Wednesday. He will serve until 2020, completing the four-year mandate of his predecessor, Meng Hongwei, who was detained in China.